Calaveras Big Trees State Park is considered the longest continuously operated tourist attraction in California since it became a State Park in 1931. Its purpose then, and still is today, to preserve the North Grove of giant sequoias. 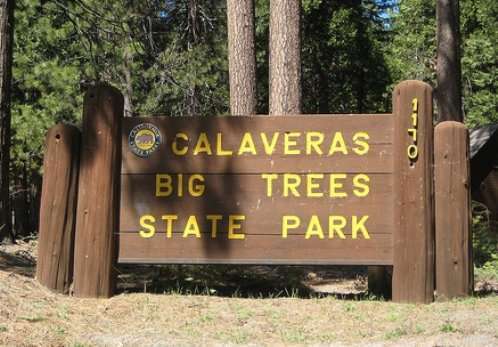 Planning a visit: You should definitely make your trip to Calaveras Big Trees State Park for the summer. Spring/fall is can sometimes be rainy and the winter it can be cold and snowy. Usually the highs for winter are in the 30’s and 40’s, but can sometimes reach the teens. 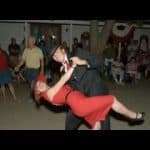 Every once and a while it will be in the 50’s or 60’s. Sometimes you may cross-country ski if it’s cold enough and has good snow. The summer is generally in the 80’s with the lows in the 50’s. Occasionally there will be an afternoon thunderstorm, but generally it is nice. Also in the summer there are ranger talks, environmental programs, junior ranger programs, and activities for school children. Calaveras Big Trees State Park consists of two areas, North Grove and South grove. The South Grove is a five mile hike through a group of Sequoias in their natural setting. 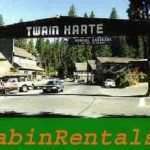 Other highlights include the Stanislaus River, Beaver Creek, the Lava Bluff Trail and Bradley Trail. There is also a couple campgrounds. These 129 campsites include six picnic areas and many trails. Dogs are only allowed in the Calaveras Big Trees State Park on a leash. They are not allowed on designated trails.